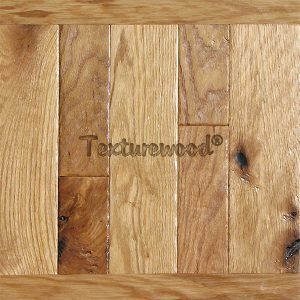 Red Oak Wood Flooring – Texturewood® Floors by Birch Creek Millwork, Inc. Looking for Premium Red Oak Wood Flooring? 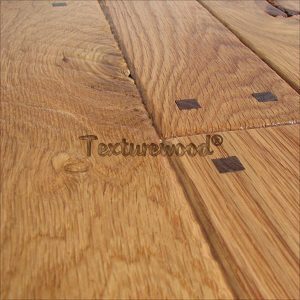 Browse our unlimited possibilities of creating textured flooring that will enhance the natural beauty of Red Oak Hardwood. If you have any inquiries contact a professional to explore all of the options you have in designing your next floor. There are many more options available than those shown below. Unlimited and of various sizes. Open Knots and character marks up to 1” are allowed. Broken knots and character marks which will readily fill are allowed. Open, mixed, primarily flat with occasional swirls and burls. 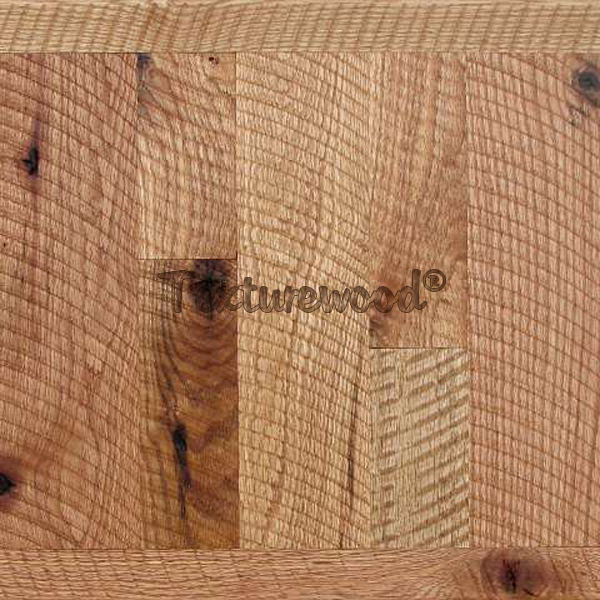 Contrasting color ranges from nearly white, cream colored sapwood, to pale reddish brown heartwood. Some mineral stain allowed. b. Width: 3” –11” – Call for wider available widths. c. Length: 2’ – 12’ with no more than 10% of total footage shorter than 4’. Smooth, Wire Brushed, Circular Sawn, Skip Sawn, 3D, Hand Scraped, Hand Scraped Plus, Draw Knife Distressed, Chalet, Skip Planed. Machine, Hand Scraped or Draw Knife Beveled Edges & Ends, Pegs. 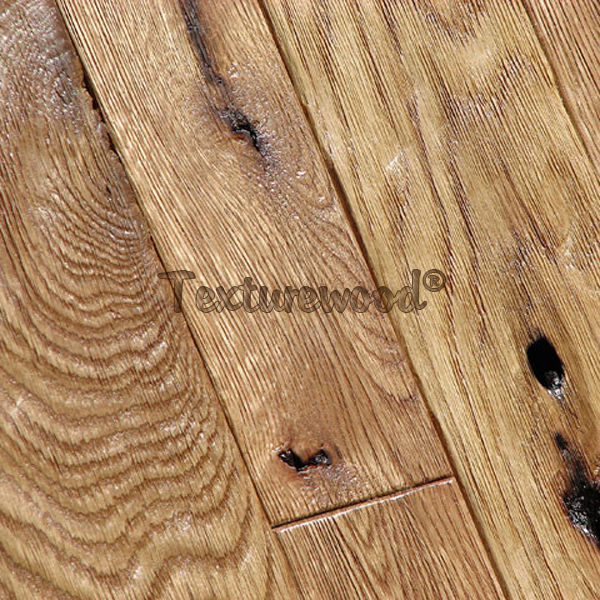 Texturewood® flooring can be installed on and above grade level. It is not recommended that this flooring be installed below grade. Installation procedures may vary (i.e. 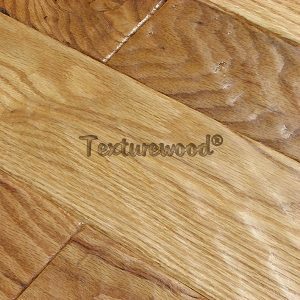 reclaimed versus new floors, or strip versus plank flooring, etc.) 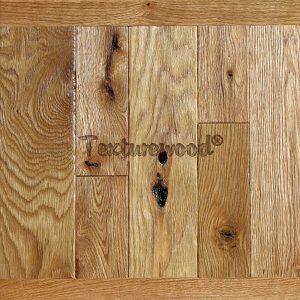 We recommend consulting with a professional flooring installer, and following National Wood Flooring Association installation guidelines. Shipped at 6%-8.5% average. Moisture content may vary some based on the humidity level of the installation site. 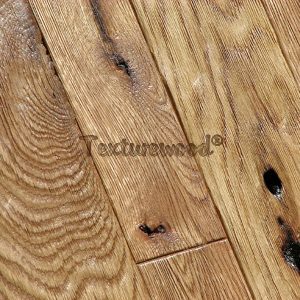 Therefore, we recommend flooring be acclimated on the job site in the same environment in which it will remain once installed, for a period of 1 to 3 weeks. Texturewood® unfinished solid wood. Consult with your professional flooring installer for jobsite finishing. 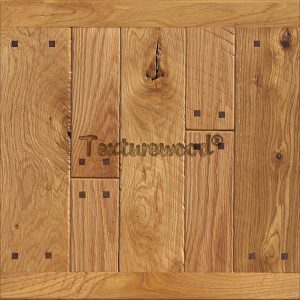 Texturewood® precision tongue & groove edges with standard double cut & squared ends. End matching available upon request. Average with some shrinkage and expansion. We recommend 8% – 10% cut and waste on traditional sub floor installations. Character marks such as knots, checks/cracks, sap, and natural color and grain patterns will vary in each plank within a sample. 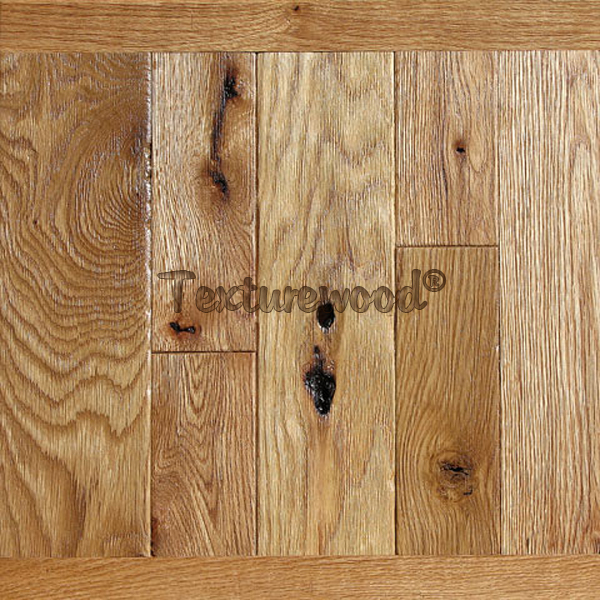 Therefore, your floor may vary somewhat from samples and pictures shown. Texturewood® flooring products are processed from solid kiln-dried stock lumber. 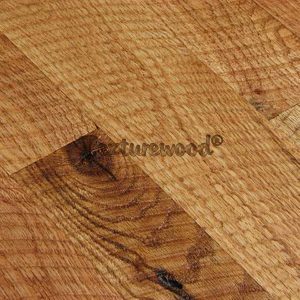 These flooring materials should be acclimatized and installed in accordance with the National Wood Flooring Association recommendations. As each installation is unique, we urge you to contact a professional flooring installer for recommendations concerning jobsite evaluation and installation. 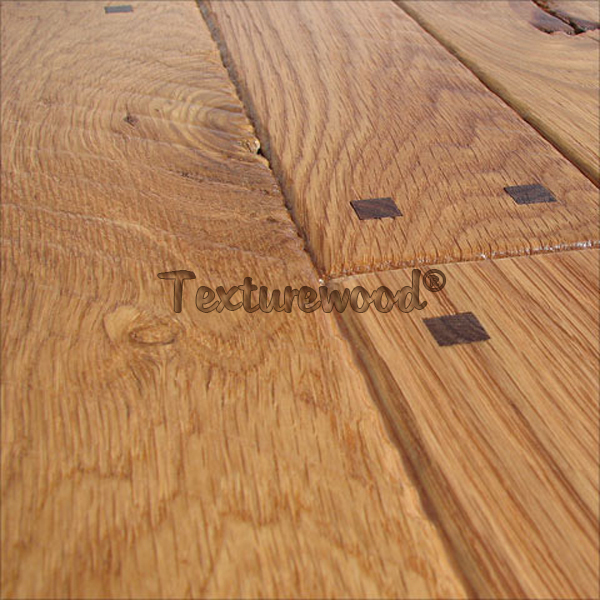 Please contact your Texturewood® representative with any questions, or go to our installation page for general tips and guidelines on installation.